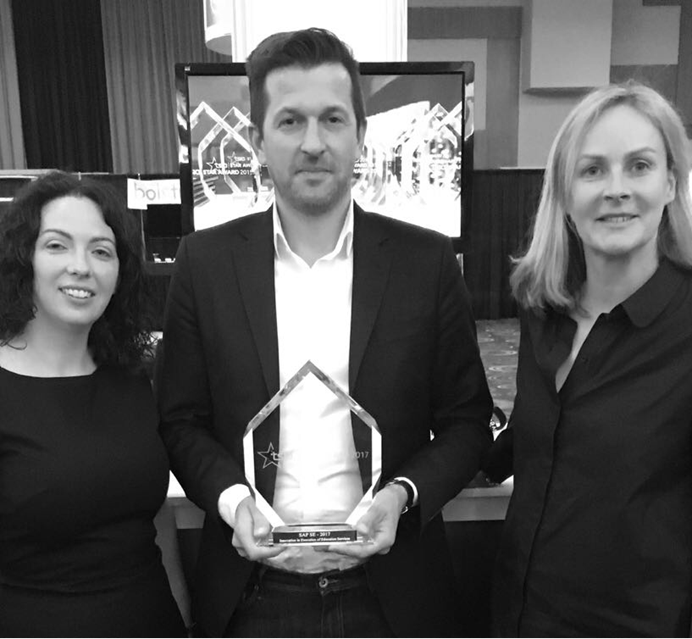 TSIA has announced the winners of the 2017 STAR Awards at the Technology Services World conference being held late October in Las Vegas and it is with great excitement to announce, that SAP is a 2017 STAR Awards winner for Innovation in Execution of Education Services with its portfolio of transformational Digital Learning Solutions including openSAP, SAP Learning Hub, SAP Live Access and Certification in the Cloud. Technology Services Industry Association (TSIA), is a leading research and advisory firm for today’s technology and services organizations. TSIA corporate members represent the world’s top technology companies as well as scores of innovative small and mid-size businesses in four major markets: enterprise IT and telecom, consumer technology, healthcare and healthcare IT, and industrial equipment and technology. Corporate members are CA, IBM, HP Enterprise, Dell and many more. TSIA’s mission is to help technology companies strategically leverage services to drive profitable growth. A thriving community of 30,000 service practitioners rely on TSIA insights every day. Such industry recognition validates that SAP clearly demonstrated innovation and achieved stellar results for both our company and our customers. SAP’s end-to-end digital learning offerings was acknowledged to provide customers with a myriad of learning options, while integrating innovative aspects like social and collaborative activities, gamification and badging into the learning experience. Now in its 27th year, the STAR Awards have become one of the highest honors in the technology services industry, allowing companies of all sizes to be publicly acknowledged by their peers as being among the best in the business. We feel honored for such industry recognition of our achievements of how run simple can help us and our customers to drive digital transformation and excellence. For more information about the award program and results please read the related blog post.